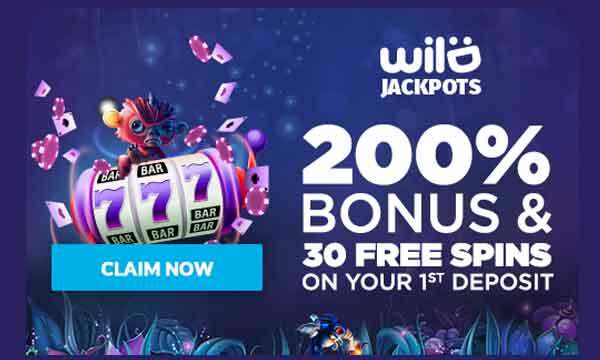 When you join as a new player at Wild Jackpots you can claim a generous welcome package were sure you’ll find exciting. The full welcome package covers your first 3 deposits. On first deposit you will be rewarded with a 200% casino bonus up to the value of €/$50 plus get 30 free spins on the slot game Book of Dead. On your second deposit you will get another match bonus. This time it’s 50% up to €/$300. 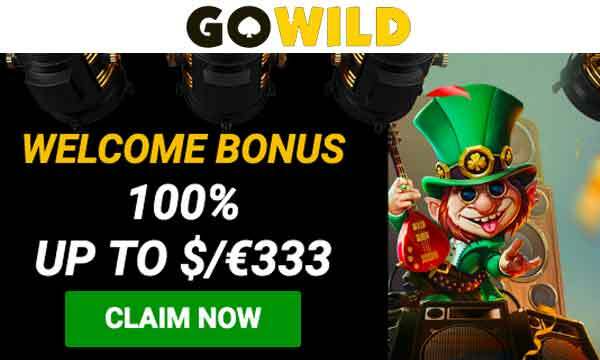 Finally on your third deposit you can get a 100% casino bonus up to €/$100. There is a minimum deposit of €/$20 required to activate the 1st and 3rd deposit bonuses. The second deposit requires a minimum deposit of €/$10. Wagering is set at 35x the bonus + deposit + free spins winnings, before a withdrawal of bonus funds can be made. Monday: Up to 200 Free Spins On Top Games – Get a free spin for every €/$1 you deposit on the following games: Sin City Nights, The Golden Owl of Athena and Fire & Steel. 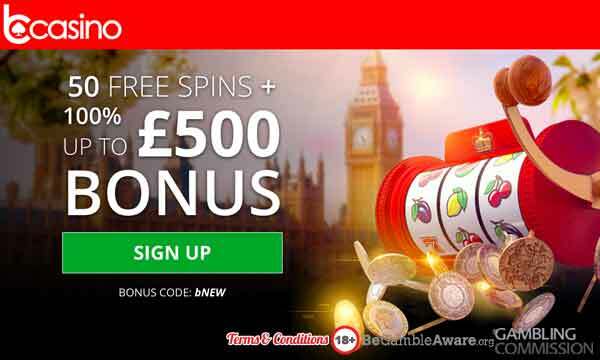 Tuesday: 125 Free Spins & Up To €/$500 – Get a 25% Bonus up to €/$100 plus 25 free spins on Super Fast Hot Hot. This bonus can be claimed 5 times. Wednesday: Claim A €/$333 Bonus 3 Times – Claim a 33% Bonus up to €/$333 on every 3rd day of the week! 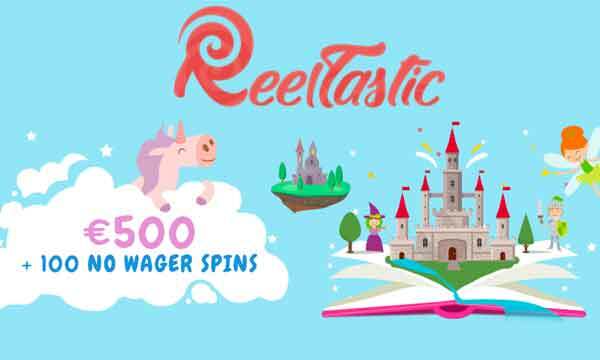 Thursday: €/$100 Roulette Prizes – The top 3 winners on Immersive Roulette will each get a $/€100 cash prize! Weekend: Different Bonuses Every Weekend – Check your promotions page to see what special bonus you can claim each weekend! Wild Jackpots is a a really fun online casino. When you arrive at the homepage you’ll be greeted by Jack who is like a little smiling emoji. He is also the ‘D’ in the Wild Jackpots logo. The site is well designed, easy to navigate and also looks great. You can play a great selection of slots, jackpots, virtual games and casino table games on all types of device. The platform works really well and should give you a seamless gaming experience. They have a well respected games library which is a big hot with their most loyal players. You can enjoy the most popular games from the likes of NetEnt, iSoftBet, Quickfire, Pragmatic Play, Play N’ Go, Evolution Gaming as well as many others. The Wild Jackpots Bonus for new players is also appealing and sure to attract a lot of interest. You can triple your first deposit with a 200% match bonus, plus get 30 free spins on Book of Dead. On to of this you will also be rewarded on your next 2 deposits with more match bonuses. Wild Jackpots does not have a licence with the UKGC and therefore does not accept UK players. They do however hold a licence with the MGA and so players from other countries are welcome to play here. 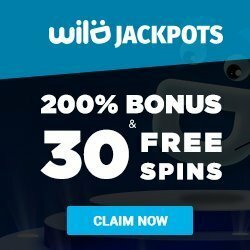 Triple your first deposit at Wild Jackpots Casino!